I've been a fan of Linda Gillard's books ever since I read Star Gazing and Emotional Geology last year. I will never understand why her books aren't more available here in the States (and just in general), and I love talking them up so that more readers can find and enjoy them just as I do. 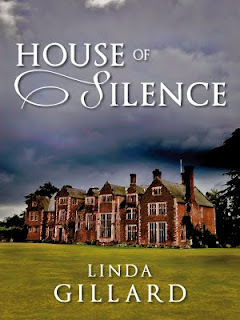 So when Linda alerted me to the imminent publication of House of Silence , I knew I would have to get my hands on it. It sounded deliciously fun. The story of this book's publication is very interesting indeed. Linda's been trying to get it published for more than three years, but publishers seemed reluctant to attempt to market this cross-genre novel. Linda describes it as Cold Comfort Farm meets Atonement . And, of course, I'm sitting here thinking to myself, who in their right mind wouldn't want to read that book? Sometimes the publishing process mystifies me. So finally Linda decided to publish the book herself as an e-book. I applaud the move, and I was lucky enough to receive a copy for review. My friends describe me as frighteningly sensible, not at all the sort of woman who would fall for an actor. And his home. And his family. Gwen Rowland is precisely that--frighteningly sensible--though she has shockingly good reason to be. Raised (and I use the term incredibly loosely) by the unholy triumvirate of her drug addict mother, her nymphomaniac uncle, and her alcoholic aunt, Gwen's life has been one long exercise in pure anxiety, solitude, and longing for someone--anyone--she can trust. Orphaned and alone by the age of sixteen, she's since grown up and made a life for herself as a costume mistress. One day, while working on set for a BBC period drama, she meets the charming and offbeat Alfie Donovan, an actor playing a supporting role in the production. They strike up a friendship, which eventually leads to romance, and by the time Christmas rolls around Gwen feels it only natural Alfie might invite her to his home for Christmas. Seeing as she has no family to speak of. The usually composed and dapper Alfie is oddly reluctant, but he eventually agrees, and the two set off for his family manor in Norfolk. Though Alfie has prepped her for the eccentricities of his four sisters and mother, the reality is much more than Gwen expected. And soon she finds herself entangled in the unfolding drama surrounding the hapless and disturbing inhabitants of the Creake Hall. We were kindred spirits in a way. Detached, self-centred, yet both obsessed with the past. Our past. The difference was, I had no family and Alfie did. He had a family-- a large one --but mostly he behaved as if he didn't, as if he wanted no part of them, however much they might want a piece of him. As a lonely child, then a solitary adolescent, I used to fantasise about having a family--a proper family, teeming with rowdy siblings, jolly aunts and uncles and of course doting parents. Alfie had that. But I suspect his fantasy was that they all died, leaving him in peace as sole owner of Creake Hall. And it was true. I had absolutely no idea. The comparison to Cold Comfort Farm and, I think, to Rebecca is very apt. I was amused, touched, and effectively creeped out in turns. And I had a very good time attempting to decipher the mystery, to figure out just exactly what dark secret lay lurking under the quirky surface. The answer, by the way, doesn't disappoint. And I would be remiss if I didn't mention the touch of romance in this book. I've loved that aspect of Ms. Gillard's previous books, and she comes through once again here in an extremely moving, tasteful, and unexpected way. The elusive and so often painful threads of our lives--happiness, family, grief, most of all, perhaps, forgiveness, as well as the daily struggle to hold them all together within one's consciousness--are at the heart of this engaging story. House of Silence is a perfect choice for a rainy day or an evening in front of the fireplace. It has a little bit of everything and I definitely recommend it. oooh! I was supposed to have read Cold Comfort Farm for an english class but ended up watching the movie with my cousins. To this day we are always quoting "I saw something nasty in the woodshed"..."yes darling, but did it see you?" Hilarious! This is a very intriguing book and when I heard BBC period drama I IMMEDIATELY thought of Richard Armitage. I must read this! Thank you for the referral. It has been bought on Amazon already! Thanks for the heads up about this one! It sounds great and hopefully the blog love will help gain it some readers and fans! This is a great review and sounds very interesting. Thanks! I loved Cold Comfort Farm so any book that is even obliquely like it intrigues me. I might have to look into this one. Thanks, Angie, for a great review. 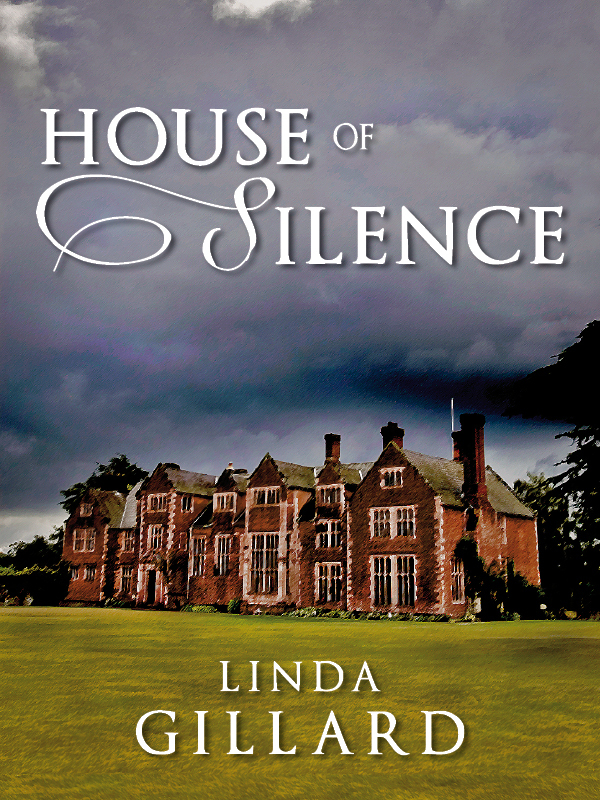 :-) HOUSE OF SILENCE is already selling well in the UK and I know your review will boost sales in the US. Without a publicity dept behind me I'm very much dependent on bloggers and book forums for spreading the word. I'm just so thrilled that my faith in the book was actually justified. Readers do seem to be enjoying it! Oh my this looks good. Thanks so much for tempting me with this one. This sounds so good. I can't read e-books so I'll have to go back and reread your review for Emotional Geology. I'd like to read something by this author. I'm in the middle of this now and am enjoying it. I love Linda Gillard, loved Atonement and found Cold Comfort Farm to be hilarious so I haven't been worried. Anonymous, if you can face reading on a PC screen you can download for free Kindle for PC & Mac, also iPhone, iPad, Android & Blackberry. Glad you're enjoying it, Holly! I wanted to post my review of this one before reading yours, but now that it's done, I can say yes! to everything you said. It really was wonderful. And I am so, so thankful to you for bringing Linda's work to my attention way back when with Emotional Geology! the book cover is really captivating. Thanks for this wonderful review!